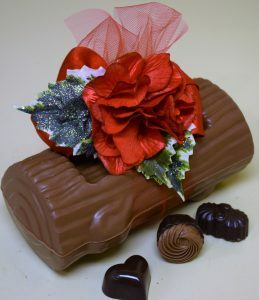 Chocolate Yule Log | Belgian Chocolatier Piron, Inc.
A twist on your Christmas and New Years tradition! 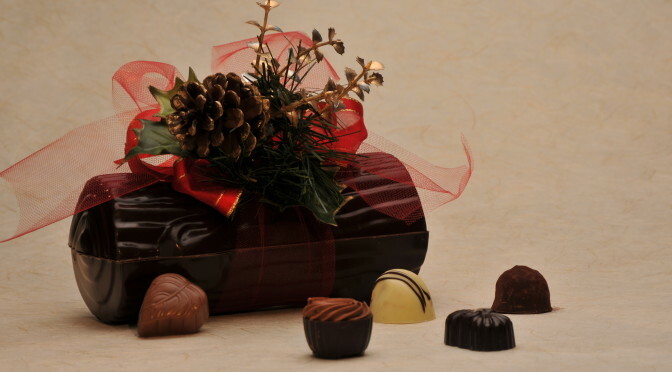 A Chocolate Yule Log Box filled with a sumptuous assortment of our Signature Chocolates, encased in crystal clear cellophane, drawn into a plume with a seasonal floral cluster. The hot chocolate is amazing! AMAZING! Mix it with one quart half & half. We give the mix as a gift all the time. So happy to support this family-owned business.